It's August. Between working, and figuring out stuff for moving out of my old place and into the new one (less than 2 weeks left! 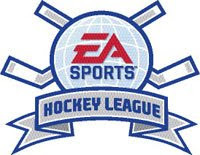 ), I've been playing some NHL 08 on my Xbox. And I've got to tell you, the "music" in NHL 08 is....unfortunate. Naturally, the worst song of the bunch is Paramore's "Misery Business." I think the rest of the mediocre indie-pop wouldn't be so bad if I didn't have the singer from Paramore screaming in my head for the past 2 days. It's like when the crappy song off the last Anti-Flag album was in Madden 07, except that I like Anti-Flag and don't like Paramore. Luckily, the band has apparently already apologized for the song. Ok, just the casual use of the word "God." It's a start, though. Next step: Getting a better soundtrack for EA's NHL 09... crap. The reason I even bought NHL 08 was that NHL 2k8's menus kept crashing, but that's another rant for another afternoon. If I have only more Bill "clothespin-on-the-nose-pin" Clement and crappy indie pop to listen to from the next one, I'll...still buy it. The League's got everyone by the balls. I mean, Puck Daddy interviewed the producer, and everyone was all hibbity-bibbity about it, myself included. On another note, Comcast is coming tomorrow to take away the cable (and internet), and it's not like there's a ton of news in August, so you might not see much from me until September.